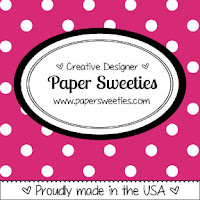 It is our final Anything Goes Monthly Challenge here at PAPER SWEETIES! But don't be sad...we will still be having our Stamp Release Parties each month! I was inspired by the rustic feel of this photo. Stitched Tags #3 Sweet Cuts! I die the cut the stockings with 4 different pattern papers. Then I die cut 4 more stockings with kraft colored paper. I trimmed the tops off the kraft ones and glued them to the pattern paper stockings. Next I sponged each one with Vintage Paper Distress Ink. I tied a bow with twine around each one. I punched a hole in the corners of each one and strung them with the same twine that I used with the bows. Abigail, Emma, Jake and Madison! I'm sure Santa comes to see them too!!! 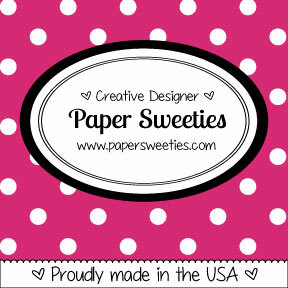 And the sweet sentiment is from the PAPER SWEETIES DEAR SANTA stamp set! 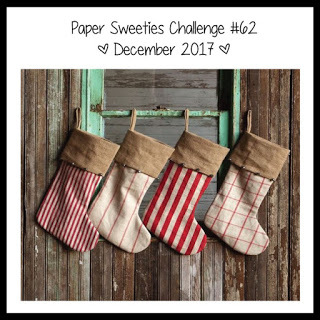 PAPER SWEETIES ANYTHING GOES CHALLENGE! Soooooooooo cute! LOVING those stockings!!!!!!!!!!!!!!!! Love those personalized stockings! Very cute and creative!! How cute is this! Love that you stamped the names Mackie, this is just delightful!